Physicians Formula Shimmer Strips is a highlighter and eyeshadow palette all in one that retails for $13.99. 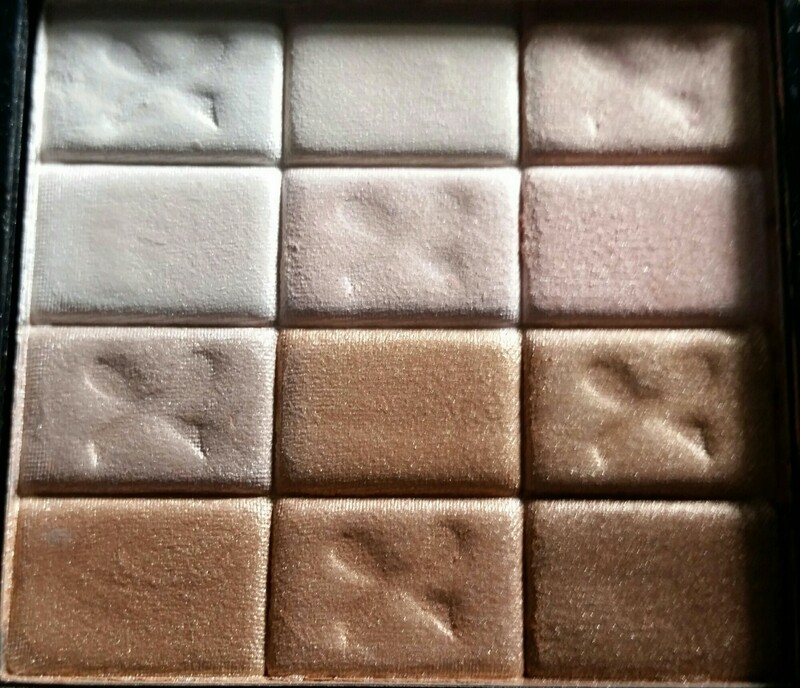 Each individual square could be used as an eyeshadow, and each row can be used as a highlight. 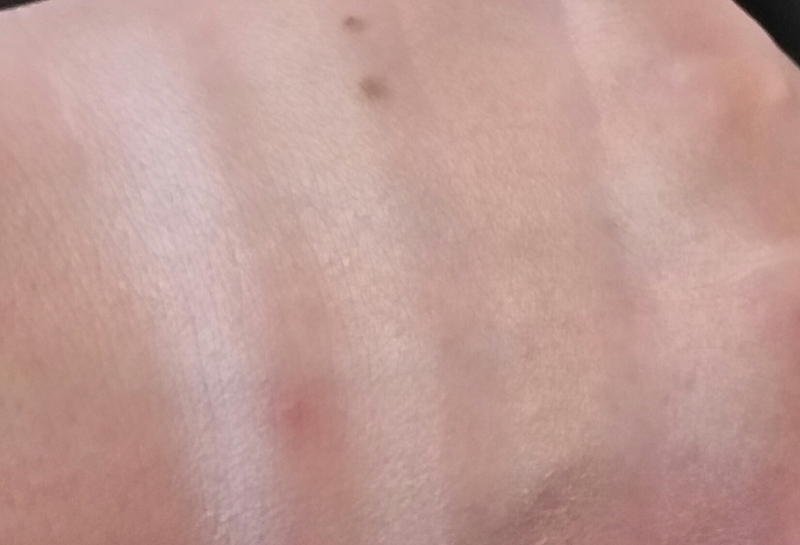 Below are swatches of each shade…. The fourth swatch, or the one furthest to the right is the entire row swatched. There are no shade names on this palette. The above two pictures are in different lighting. The top row is in dim lighting to better demonstrate the shade, the bottom picture is in brighter lighting to help demonstrate the translucency. 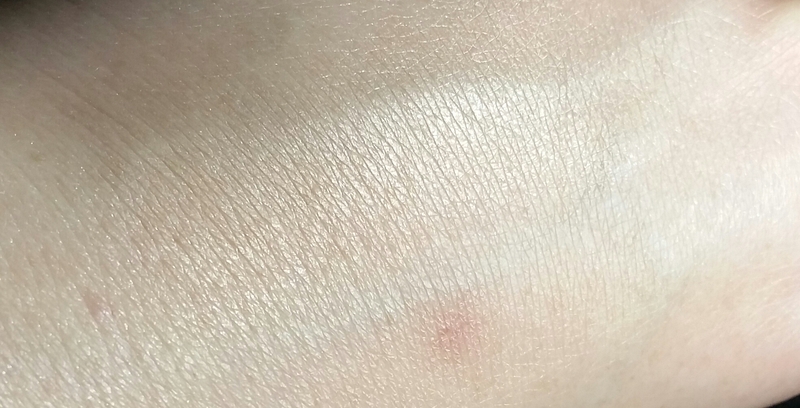 This highlight is very sheer and natural looking. 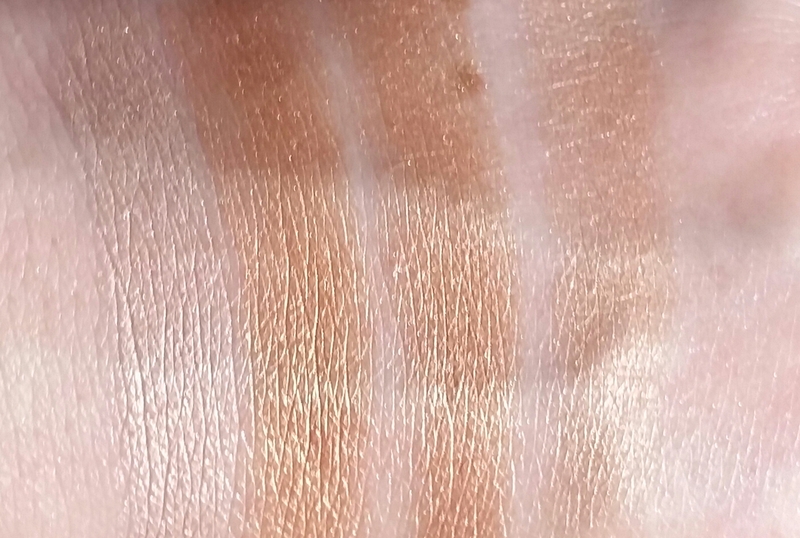 Remember that a swatch is different than application with a fan brush. With the fan brush this highlighter applies as a very sheer, natural looking highlight. As individual shadows these shades provide a variety of highlight options for the inner corner or brow bone. 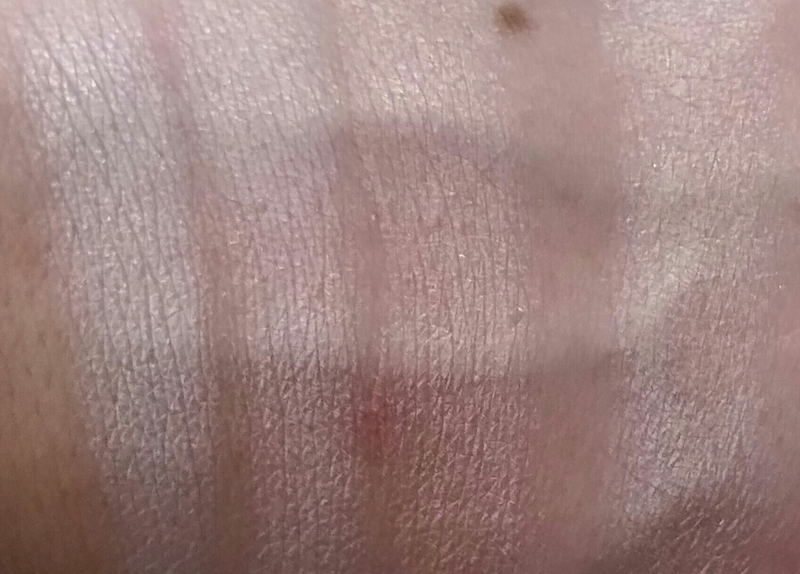 Remember that the swatch all the way to the right is a swatch of the row. Final Thoughts: There is a little kick back in the palette when dipping a brush in, but it blows away easily and does not ruin the shades next to it, as evidenced by the pictures. Even though there is kick back in the palette, these apply very smoothly, evenly pigmented, and don’t swatch dry at all (I’ve never experienced that at all, they kick back but don’t feel dry or powdery in application). If I tap my brush before applying I don’t experience any fallout. 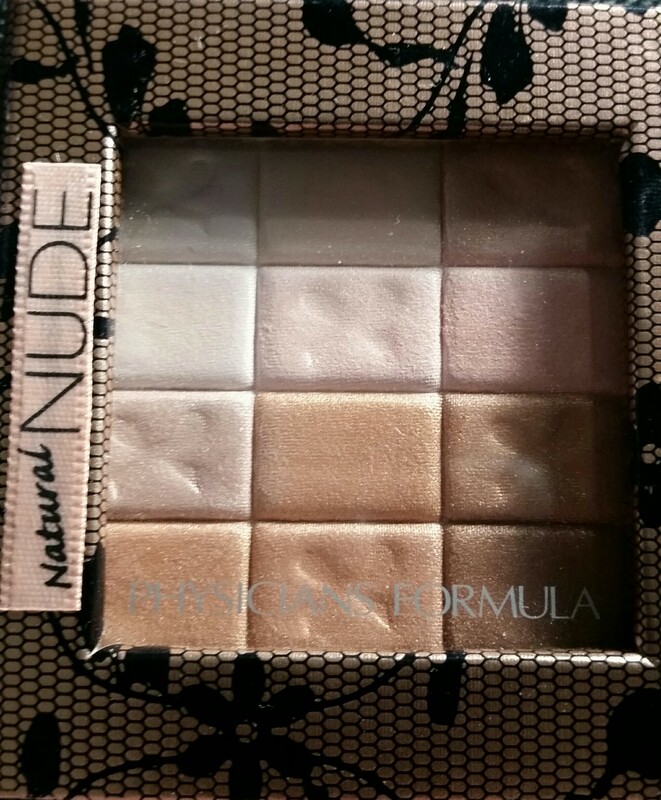 This palette is one of my favorites for highlighting the inner corner. The color can be built up to make the eyes really pop. For a highlighter I run my fan brush through the top two rows and it gives a natural looking highlight. If you love a pop of color for highlight it could be built up, I prefer more natural. The deeper shades are not wasted. They can be used on the lids for a beautiful eyeshadow color. They are very pigmented and look so pretty. I love that this palette is compact and multipurpose. 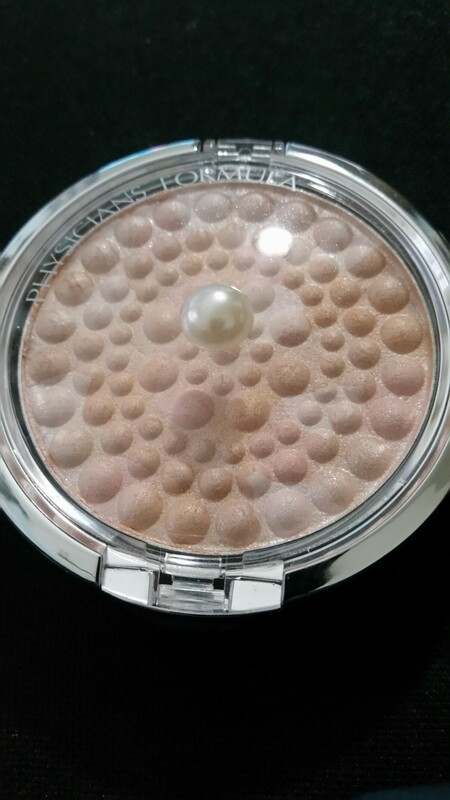 Physicians Formula Mineral Glow in Translucent Pearl retails for $9.79. Again, this does give alot of kickback in the pan, but it applies beautifully. 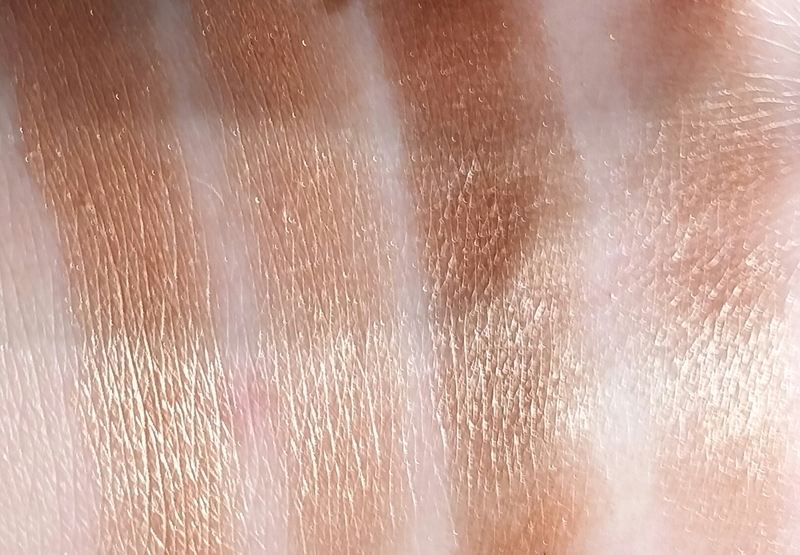 For my skin tone this has been the most natural looking highlight I have been able to find in the drugstore. 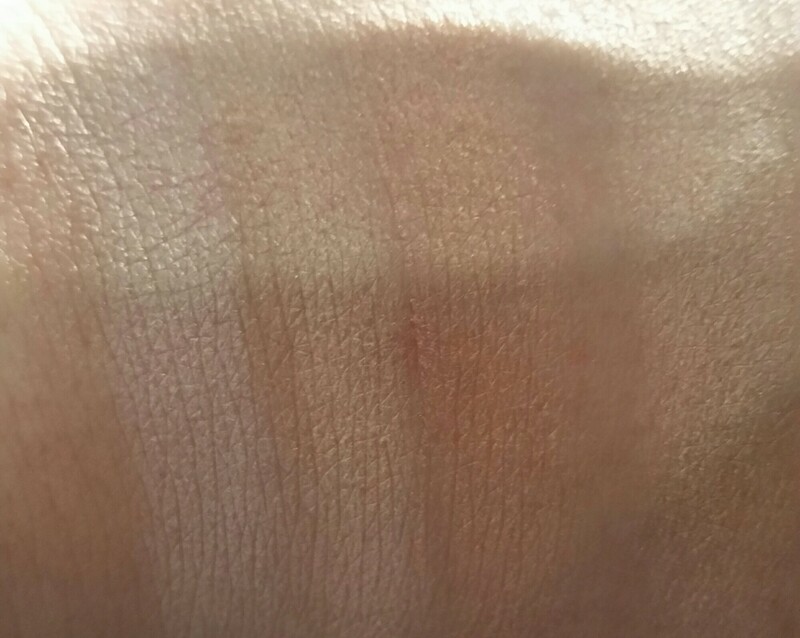 It applies beautifully and provides a healthy glow. I am just now starting makeup it 58 I’m tired of seeing these young ones in the magazines on the web. It’s time for people of my age. So I would like the start with your eyeshadow. Beauty comes in every age, women are beautiful. You will learn. What helped me was watching tutorial videos or reading posts about how to apply makeup. You will get it. Don’t give up. It takes patience to find the products and tools that work best for you too. Good luck xoxo and have fun!! !